Ontario has established itself as one of Canada’s most attractive regions to start a new business. The area’s access to skilled talent and the availability to receive financial support through Ontario Government Grants for Small Business are some of the province’s most attractive attributes. These features are intended to attract and support the growth small businesses while increasing job creation and prosperity within the province. Yet for many startups and early-stage businesses, it can be difficult to access funding to support growth. Canadian government funding is available for startups, but it can take considerable effort to search for these programs, learn how to develop a competitive application, then submit a request for startup grants or loans. Fortunately, resources exist to support entrepreneurs and startups to navigate this process and access funding more easily. For startups, there are two main types of government funding that are accessible without being incorporated, without having many employees, or past revenues to show. These include startup funding for hiring and training, and startup funding for research and development. Through these programs, startups can begin infusing tens of thousands of dollars into their strategic growth plans. To find out what you need to do in order to qualify for additional small business grants, download a free funding checklist. Small business owners are attracted to Ontario’s close proximity to a large talent pool of skilled graduates from Ontario’s post-secondary institutions. The Ontario Government also provides several opportunities to subsidize the costs of hiring these graduates through lucrative wage subsidy programs as well as small business funding grants for post-secondary collaboration. For the majority of programs employees must be a recent graduate of a post-secondary institution (within past 5 years). Discover Grants to Support Your Upcoming Hires: Use the Wage Subsidy Identifier contact form to tell us more about your ideal candidates, and we’ll identify small business grants to help offset their wages. MaRS Investment Accelerator Fund (IAF): Entrepreneurs can receive up to $500K in a fully-repayable business grant for the early stage development and commercialization of an innovative product or technology. Businesses would be expected to repay the full amount within three years at an interest rate one above prime with a 5% equity position. IRAP Accelerated Review Process (ARP): The ARP program provides up to $50K in non-repayable business funding grants; covering 80% of the direct labour and 50% of the sub-contractors or a technical research and development project. Funding could apply to product design, marketing, productivity, improvements, and software implementation. 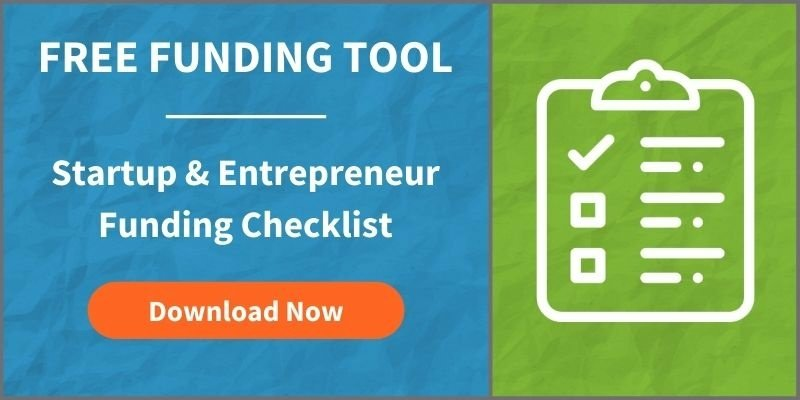 Startups and young businesses can access additional information on how to qualify for Canadian government funding programs by downloading the free Startup Funding Checklist. Very good initiative from the government and lets give credit to that, hope that there will be more programs that will help not only in business sector but also for individuals. Hi! I am trying to open a new business in general contracting. I would really like to hear more about government grants to assist small business owners on their start up. Could you please email me some information on grant opportunities that might help me in my endeavors? I believe you should begin by downloading our government funding for start-ups checklist (www.mentorworks.ca/startups/ )-to see what you need to do on your end in order to qualify. Keep in mind, for startups, with no employees you are likely to have few options aside from loans, and grants for hiring. However, mind you that some of the grants for hiring are as much as $20K or more. Thanks again for stopping by, and best of luck to you! I am a young person wanting to open up a boarding kennel for dogs. I am wondering what government funding there is available for young business owners to start up their business. Could you please give me some advice? I wish to open a business devoted to the preservation of a historical mining site. The business involves scientific research as well as the historical documentation. Which grants should I expect some level of success? Thank you very much for visiting our blog, and for leaving a comment. Unfortunately, government funding does not cover retail expansion – unless in a few cases of which the recipient must either manufacture and/or perform R&D in Canada. However, your non-sales positions may qualify for funding for hiring – I would check out some of the programs listed here: http://www.mentorworks.ca/tag/wage-subsidies/ and sign up for our newsletter if you haven’t already. Best of luck to you! Hi Tetyana, we recommend contacting a City of Toronto Small Business Centre. These offices can support a range of startup-related inquiries (including funding) specific to your new business. I have a passion for a good craft beer. I’m currently doing homebrews, working on recipe development and attempting to extend my craft from homebrew to small business. Any support of funding from programs in Ontario in regards to such a start up ? Hi Sherlanne, craft beer startups are not currently a focus for federal or provincial government funding programs. However, for your situation, I’d highly recommend exploring local colleges with on-site breweries such as Niagara College. These facilities can help startup brewers develop their formulas and run smaller batches prior to scaling to full facility production. Hope this helps! Hi, this is Tashi. My father has extensive experience working in a cafe setting and now wants to start his own cafe. Can this program help him? I saw your checklist form, in the email section it ask for corporate email and no gmail. He has not opened his business yet, how else can he download the checklist? Thank you. Hello, I’m very interested in downloading the checklist for business start up. However, if you don’t have a business e-mail, which is my case, it doesn’t allow you to access it. Any other way to get it? Hi there, my brother in-law and I are wanting to start up our own landscaping company focusing on the smaller aspects like tree trimming, grass cutting, flower beds, stump removal, hedge trimming, etc.. But we are not sure where or how to start. Any help would be greatly appreciated. Hi Nathan, thanks for reaching out. At this stage, your best bet is to access a local small business enterprise centre (SBEC). They provide support to startups during their initial years of development and operation. Entrepreneurs have easy access to business consulting services and information covering management, marketing, technology and financing. Hope this helps! Hi, I’ve been formulating ideas and researching to start an online natural products retail business. I’m in the process of writing out the business models, setting up websites/social media, looking for actual products and containers, etc. Basically forecasting startup costs and such. Where can I look to get funding to start this, I would love to do this! Thank you! Hi Leona. You may have the most success using a local small business enterprise centre (SBEC). They provide support to startups during their initial years of development and operation. Entrepreneurs have easy access to business consulting services and information covering management, marketing, technology and financing. Once your business has demonstrated success and has been incorporated for a few years, then it’ll make more sense to explore government funding programs to support your growth. Hi there, My name is Johan. I am looking to start a business that makes “living a fit and healthy lifestyle” much more convenient. This would be a subscription based business for both members and consumers. I need help. Where do I begin? Hi Johan, while Mentor Works provides the most value to established businesses interested in applying for government funding, there are several startup resources that you should investigate.